Outdoor games should not be limited because of the weather. 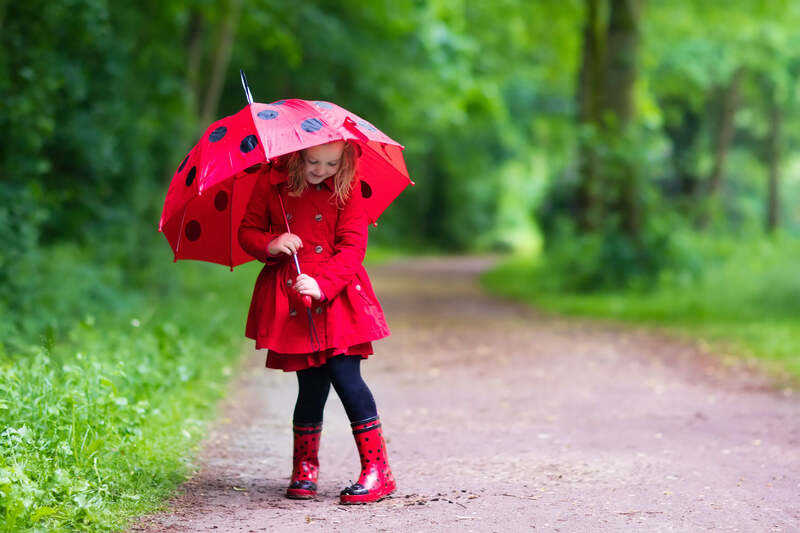 The Norwegians are well aware of this fact because they spend each day in a climate that is much less amenable than ours, and the sight of pre-schoolers walking along the street in the rain or wind does not concern anybody. This is because they believe that there is no such thing as bad weather, only inappropriate clothing. There is no need to convince anyone of the beneficial effect of outdoor activities on the immune system, so the question arises as to why there is a belief that in autumn or winter it is better to hide in the comfort of our homes? The increase in susceptibility to infections during the autumn and winter is due to several factors, but one of the main factors is the greater risk of overheating or cooling of the body. These extremes of temperature, especially for people and children with weak immune systems, end up causing infections. Exposing yourself to significantly lower or higher temperatures is one of the most effective ways to weaken your immune system and open the gate to viral infections. That is why it is so important to wear appropriate clothing, especially at the change between seasons, when the morning temperature can significantly differ from that in the afternoon. The two most important principles of proper clothing are common sense and adaptation to current weather conditions, and not to the calendar or your habits. In recent years anomalies in the weather are beginning to become the norm and temperatures well above zero in December are no longer unusual. So if November is relatively warm, it makes no sense to take thick coats or hats out of the wardrobe. Similarly, in May you would be unwise to walk around in shorts. Dressing appropriately for the weather is helped by applying the principle of layers, i.e. dressing in several layers of clothing so that a layer can be removed or put on as needed. For example, if November is relatively warm, it is better to dress your child in an extra jumper and a thinner coat so that it does not get cold in the morning, but you can also remove the jacket if it gets warmer in the afternoon. Just wearing a thick winter coat would make your child either too cold after taking the coat off or too hot if it keeps the coat on. It is simply common sense to go without a hat and scarf when they are not needed. Trust your child’s intuition and experience. If your child from an early age has run around in the fresh air and instinctively removes items of clothing while playing, do not suddenly introduce the rule of “it’s autumn, put a hat on”. Allow yourself and your children to listen to what their bodies are telling them – it will pay rich dividends in the future. The best lesson you can give your children about appropriate clothing is for them to trust themselves and rely on their own experience. If your children are dressed in several layers and has been instructed by you that they can add or remove layers as required, they will be able to make the best decision for themselves. A restrictive attitude to hats and scarves can lead to overheating and increased infections. So just trust your own and your child’s common sense.